Flower exhibition has been organized on December 24 and 25 from North Bihar Horticulture Society .Colorful flowers are being decorated in the sports complex of CM Science College . 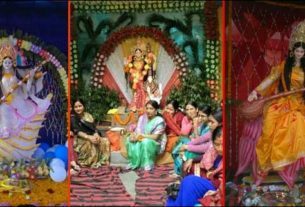 People will feel relaxed visiting these red , blue , pink and yellow flowers .The college campus has also been decorated like a bride due to the silver jubilee year . It is being decorated with flowers all round the campus . Flower exhibition will be open on December 24 and 25. Navin Bairolia’s plant was awarded as the ‘King of the Show’ while Asha Gupta’s flower bagged ‘Queen of the Show’.The winners were announced by a 12 member team . There were 225 contestants who competed for the 22 award categories.4000 flower pots were showcased in the exhibition.